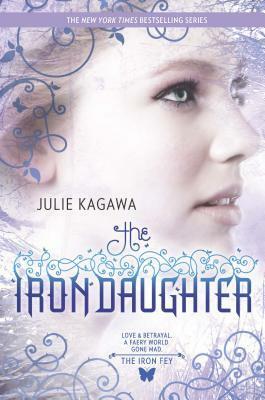 From the limitless imagination of New York Times and USA Today bestselling author Julie Kagawa, return to the world of The Iron Fey.Half Summer faery princess, half human, Meghan has never fit in anywhere. Deserted by the Winter prince she thought loved her, she is prisoner of the Winter faery queen. As war looms between Summer and Winter, Meghan knows that the real danger comes from the Iron Fey--ironbound faeries that only she and her absent prince have seen. But no one believes her.Worse, Meghan's own fey powers have been cut off. She's stuck in Faery with only her wits for help. Trusting anyone would be foolish. Trusting a seeming traitor could be deadly. But even as she grows a backbone of iron, Meghan can't help but hear the whispers of longing in her all-too-human heart.Don't miss the first book in Julie Kagawa's highly anticipated new series, SHADOW OF THE FOX, AVAILABLE OCTOBER 2, 2018"Julie Kagawa is one killer storyteller."